High heel shoes have the stigma of being bad for both health and comfort. However, it seems a lot of women are happy to suffer a little pain to keep up with the latest fashion trends. 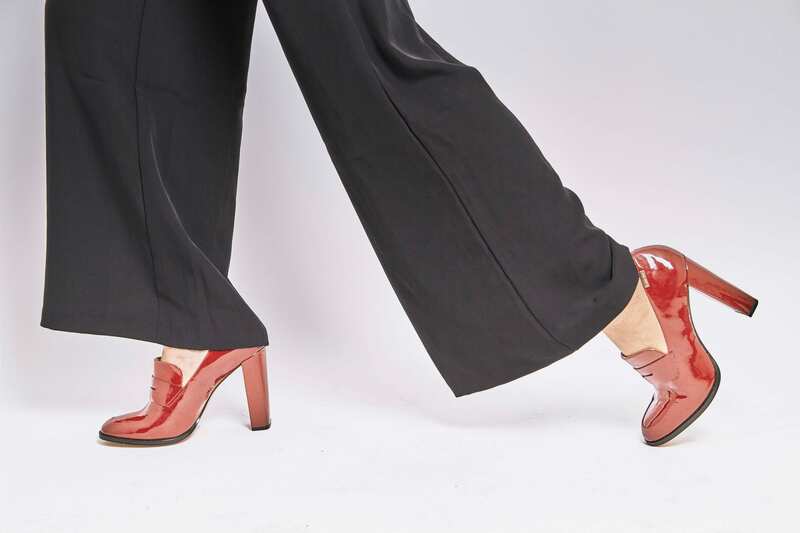 The height of the heels has certainly been shown to take a toll on your spine, hips, knees, ankle and feet. They are also responsible for altering your gait and posture. High heels place a large amount of pressure on the front of the foot. To maintain balance your body will then change its normal alignment. Additional stress will normally be noticed on the calf muscles, hip and lower back muscles. This in turn leads to tightness and fatigue after wearing high heels for a prolonged period. A normal s shape curve of your spine will help distribute the load of gravity evenly. Once high heels are in place, the lumbar curve of the low back will be flattened. This is due to the lower body being forced forwards. The upper body must then counterbalance this and will shift backwards. Poor alignment is the result and will likely lead to muscle overuse and back pain. Restrict heel height to 2 inches. Avoid wearing heels for a long period. Incorporate other footwear into your daily attire. Stretch your calf & quad muscles regularly. Use a roller to release leg muscles. Make sure your shoe size is correct. Ultimately you decide what’s more important, fashion, appearance or health. 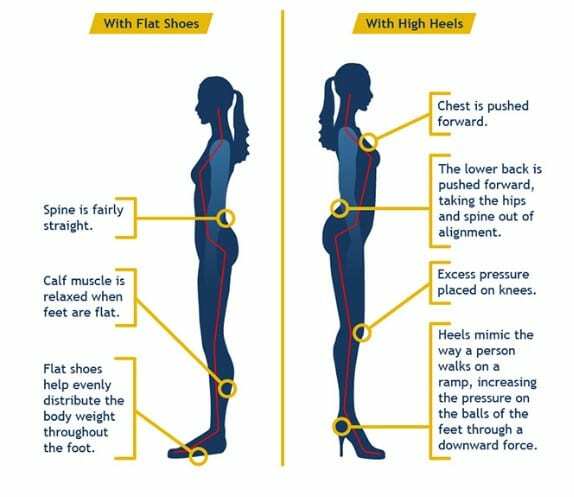 I hope your able to understand the serious implications heels can have on your posture and spine health. At the very least applying these tips should reduce the amount of pain you will experience in the years to come.